Our Story: My wife is from Thailand and I am a 60 year old New Zealander, my wife gave her permission to buy my first Harley and some of the subsequent ones!! We ride together 99% of the time and in the United Arab Emirates my wife had her own bike and also completed an Easy Rider and Full Throttle on her own bike. We love riding especially to new places and meeting new people. I wish everyone in the world owned a bike and had the same mentality as the bikers we have met across the globe. 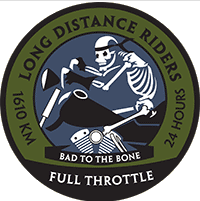 Type of Bike: My first Long Distance Riders rides were done on a 2007 CVO Road King in the United Arab Emirates. Moved to Singapore and have a 2012 CVO Street Glide. Also own a 1995 Heritage Softail, a 1924 JE and two un-restored 1930 Model C Harley Davidson’s. Favorite Ride: We have many of these riding with different friends on different continents and meeting many new friends. 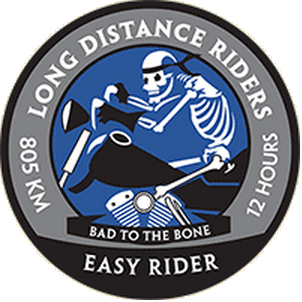 Our first was 6,950 miles in 26 days from Seattle to Milwaukee and back to Seattle for the 105th Anniversary, the following year we did Seattle to Sturgis and back to Seattle using different roads, only achieving 5,950 miles. In 2011 we did two long trips in Europe, one for the HOG Rally in Croatia, covered 5,000 Kilometres and eleven countries! And then European Bile Week in Fakker See, Austria, covered five countries in a week. Future Rides: Many of these are currently dreams waiting to be fulfilled, the island of Borneo is a possibility next year. 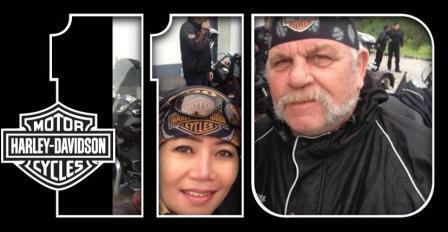 One is being fulfilled soon as we are riding to Milwaukee for the 110th Anniversary from Houston back to Houston. Africa is another continent undiscovered and is currently at the dream stage. Interesting Facts: My first ever endurance ride, I rode by myself, during a business trip to the USA. Achieved 1089 miles and 7 states in 22.5 hours. I was lucky as it was a Saturday and open house day for the 2010 HD Model Launch. Hot coffee and good food at all the Dealerships I stopped at in Arkansas and Missouri.